Non allergenic. Ideal for decorating and cleaning. Hard wearing with textured surface for better grip. 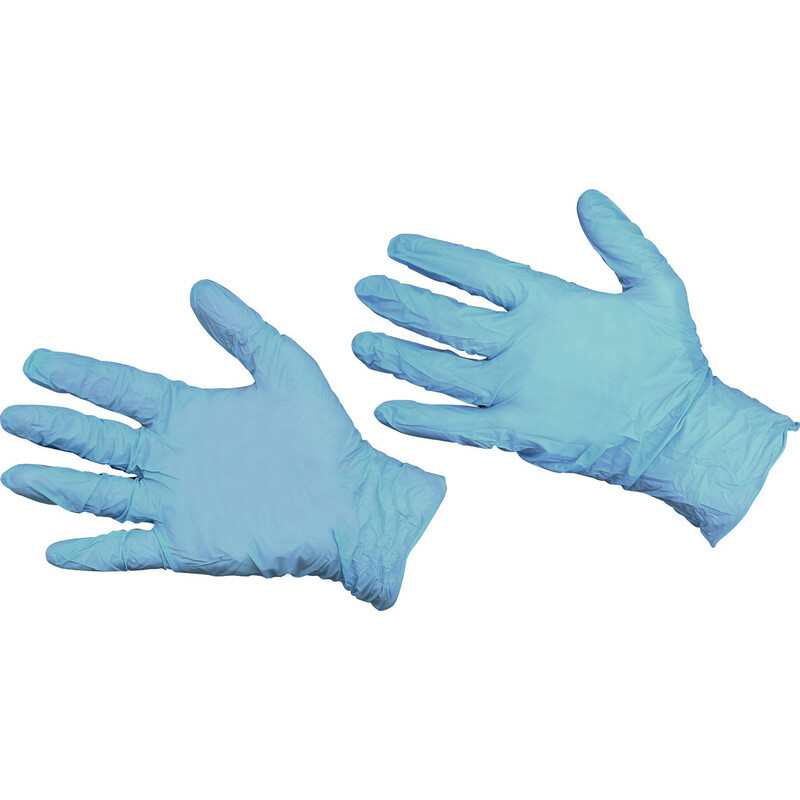 Stanley Nitrile Gloves (4 Pairs) is rated 2.3 out of 5 by 6. Rated 2 out of 5 by Asperatus from More trouble than they are Worth The gloves were crumpled together in the pack and the sticky mass had to be teased apart to find a pair to wear. They were impossibly small for my medium-sized male hands and I ripped two left-hand gloves trying to pull them on. Wearing them was not particularly pleasant as they had a poor fit and an unpleasant texture. Emulsion paint did wash off them readily though, and I was able to complete several hours painting without wearing too much Dulux White Mist, and build-up of sweat inside was much lower than I had expected. Rated 3 out of 5 by KW2004 from Marginally good product I bought 4 pairs for painting purpose. They torn easily. Rated 4 out of 5 by Karlotti from Too small Only one size, I could not get these gloves on, my grandaughter is using them now . They looked good quality.